Offering you a complete choice of products which include granule filling machine, powder packing machine and powder packaging machine. 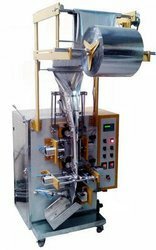 In our extensive product range, we are highly engaged to provide a quality approved grade Granule Filling Machine. 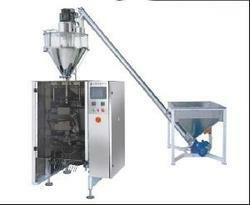 This filling machine is provided in numerous specifications as per the variegated demand of customers. The given filling machine is provided in safe temper proof packaging options so as to avoid physical damage while transit. Our filling machine is well developed from the superb quality components and advanced techniques in accordance with industry norms. We are highly engaged to introduce our clients a quality grade Powder Packing Machine. These machines are examined on several parameters so as to deliver an excellent range. Our machines are accessible in various specifications in accordance with the requirements of customers. We develop this machine using top notch material & leading technology. Electricity: 220 V + 5%, sigle phase. We are among the reputed organizations, engaged in providing an optimum grade of Powder Packaging Machine. Offered packing machine is used in food and chemical industries. The offered packing machines are manufactured by experts utilizing finest grade material and contemporary techniques as per the set industry standards. We offer these packing machines to our customers at competitive rates in a promised time period. We are a unique entity, actively committed towards offering Powder Packaging Machine. 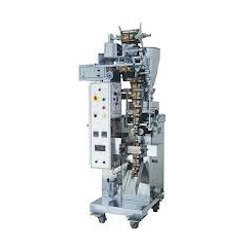 The offered packaging machine is developed expertly as per the prevailing market norms using high quality material and contemporary techniques. 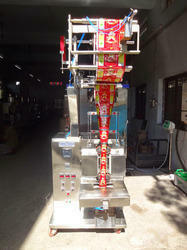 This packaging machine is used for free flow and viscous products. Offered packaging machine is provided in varied of specifications to choose from. Looking for Powder Packaging Machine ?